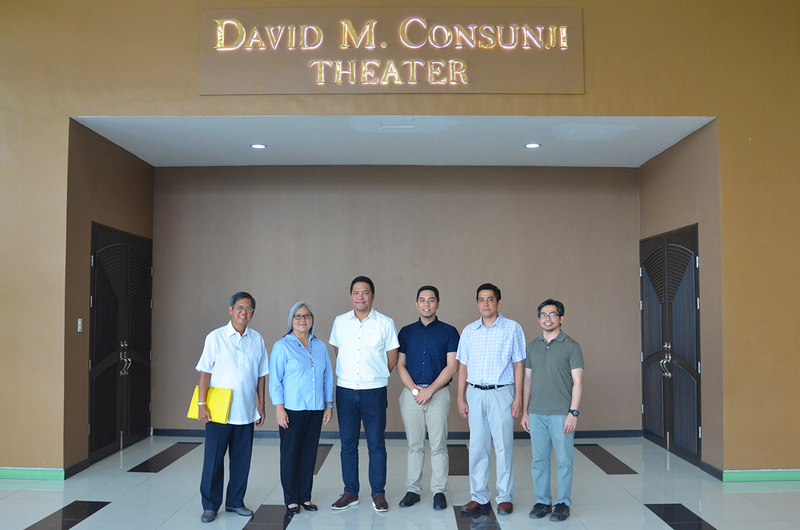 DMCI Homes and University of the Philippines-Institute of Civil Engineering officials tour the 260-seat David M. Consunji Theater following the recent installation of the facility’s signage at the UP-ICE Main Building in Diliman, Quezon City. 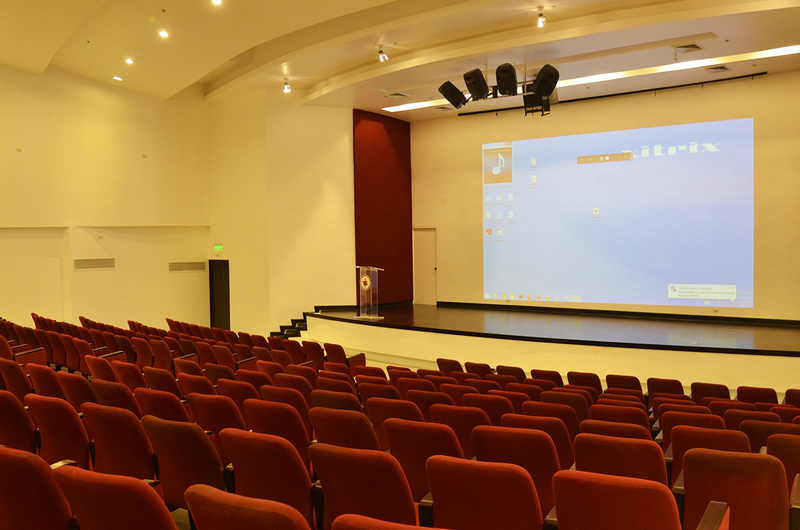 The theatre is one of the facilities donated by DMCI Homes to the institution. The tour of the officials was held right before the 1st UP-ICE Recognition Rites on June 20, 2018. Citing education’s lasting impact on nation building, the University of the Philippines-Institute of Civil Engineering (UP-ICE) has lauded the Consunji Group of Companies for its unwavering support for the improvement of the quality of education in the country. UP-ICE Director Maria Antonia Tanchuling said this in appreciation of the conglomerate’s recent donations to the institution that include a 260-seat theater inside the UP-ICE main building. It was named after one of the institute’s esteemed alumni and acknowledged “Grandfather of Philippine Construction Industry,” the late Engr. David M. Consunji. “Investing in education goes a long way to all stakeholders from the students and to the nation as a whole. I think that’s UP’s contribution to nation-building—to produce graduates who are not only competent but at the same time who are honorable,” Tanchuling stated. “So we’d like to thank the private sector for the support to the university all throughout these years. DMCI, the Consunji family have been supporting the university especially the ICE. We’re really very grateful for all the support that has been given to us,” she added. Inaugurated in November 2017, the P9.2 million-worth modern theater has hosted student assemblies, research colloquia, seminars, and more recently the first recognition rites of graduating students of the UP-ICE on June 20, 2018. Photo shows (from left to right) UP Engineering Research and Development Foundation, Inc. Executive Director Alfonso Aliga Jr., UP-ICE Director Maria Antonia Tanchuling, DMCI Homes Assistant Vice President for Marketing Jan Venturanza, Deputy Director for Students and Alumni Jaime Angelo Victor, Deputy Director for Academic Affairs Dr. Karl Vergel, and Deputy Director for Planning, Development and Finance Dr. Errol Quinay. “We have a large population of students so now we have a facility where we can have assembly of our students. So it’s really a big help,” she said. 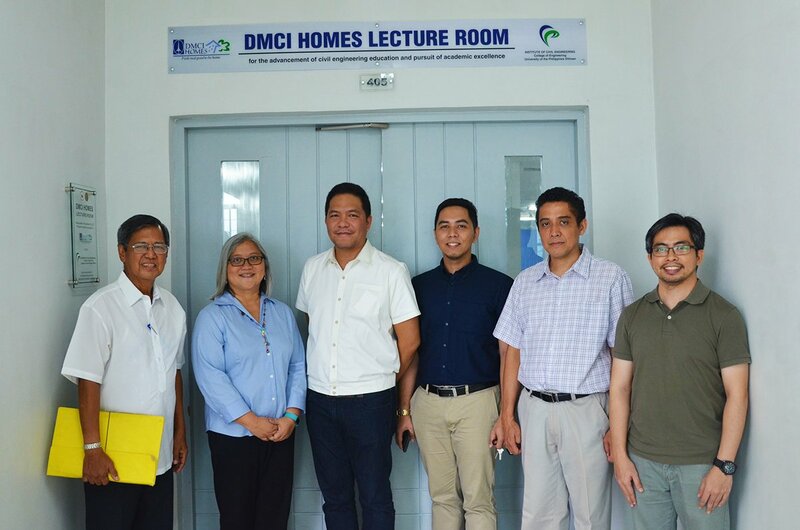 Apart from the David M. Consunji Theater, DMCI Holdings, Inc. and its subsidiaries donated for the construction of various facilities and scholarships to the UP-ICE including professorial chair and teaching grants, lecture room, and canteen. DMCI Homes and Dacon together with Friends of Engr. David M. Consunji also donated early this year P7.5 million for the setting up of UP ICE’s computational laboratory which is expected to be completed before the year ends. Some of the computer sets at the DMCI Homes Computational Laboratory which will be operational starting this coming school year 2018-2019. (From left to right) UP Engineering Research and Development Foundation, Inc. Executive Director Alfonso Aliga Jr., UP-ICE Director Maria Antonia Tanchuling, DMCI Homes Assistant Vice President for Marketing Jan Venturanza, Deputy Director for Students and Alumni Jaime Angelo Victor, Deputy Director for Academic Affairs Dr. Karl Vergel, and Deputy Director for Planning, Development and Finance Dr. Errol Quinay at the DMCI Homes Lecture Room of the UP-ICE in Diliman, Quezon City. 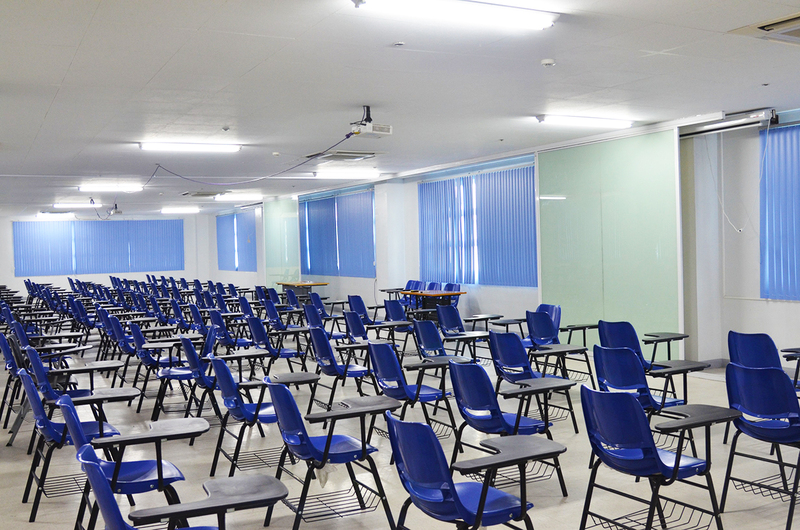 The DMCI Homes Lecture room can accommodate 250 students according to UP-ICE Director Maria Antonia Tanchuling. 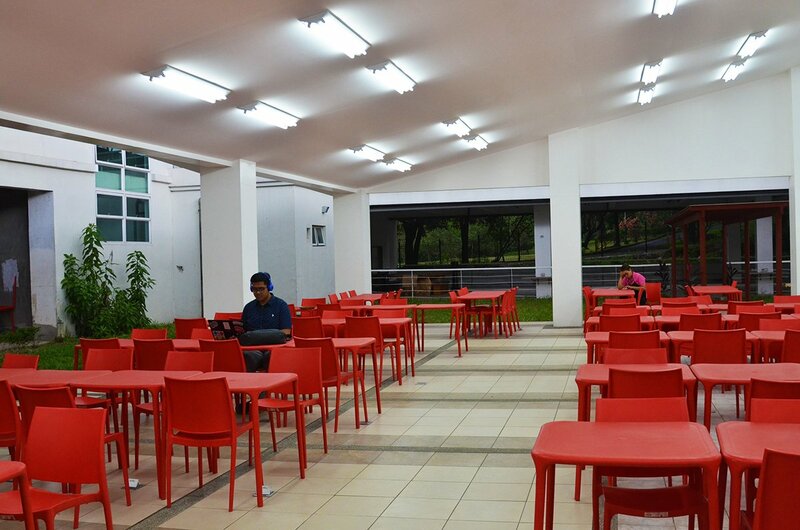 The UP-ICE canteen donated by DMCI Homes not only benefits the students of UP-ICE but also of adjoining buildings like the Department of Chemical Engineering. DMCI Homes Executive Treasurer Edwina Consunji-Laperal, on the other hand, expressed her gratitude to the University of the Philippines for allowing her family to become part of the institution’s pursuit of academic excellence.